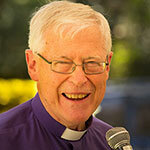 Archbishop Peter Jensen was General Secretary of Gafcon from its beginnings in 2008 until the end of 2018 when he was succeeded by Archbishop Benjamin Kwashi. Archbishop Jensen is a graduate of the Universities of London, Sydney and Oxford and has taught Historical and Systematic Theology. He was ordained in Sydney in 1969 and was the Principal of Moore Theological College from 1985 until he was elected Archbishop of Sydney in 2001, a post he held until he retired in 2013. He is the author of several books and gave the Boyer Lectures, broadcast on the Australian Broadcasting Corporation in 2005 on the subject of The Future of Jesus. He is married to Christine and they have five adult children and twenty four grandchildren. Back to Basics Part 6: Will You Stand With Us? GAFCON is a movement within the Anglican Communion to call it back to the Bible and to the great task of making disciples by preaching the gospel in all the world. GAFCON is a force for unity. But is a unity measured by the truth. The Global Anglican Future Conference (GAFCON) was held in June 2008. Over eleven hundred Anglican bishops, clergy and laity met for a week in Jerusalem.